Watch full Ginga Eiyuu Densetsu Season 3 Episode 21 English Subbed full HD online. Ginga Eiyuu Densetsu Episode 75 English Subbed online for free in HD. Rolling Thunder. 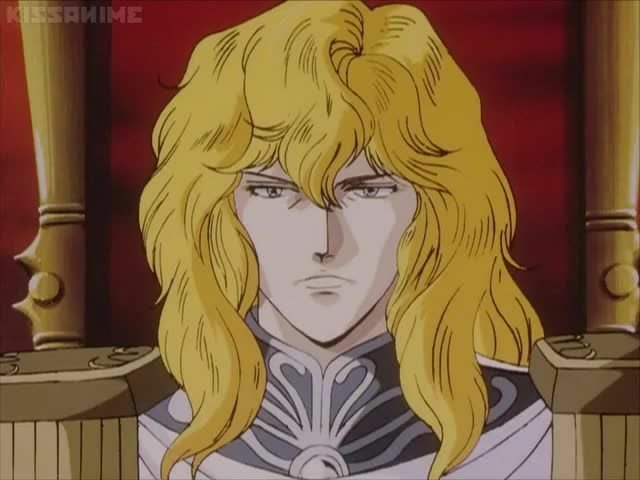 Reuenthal is arrested by the Imperial police under suspicion of overthrowing Reinhard. It is revealed that Lang, the head of the secret police initialed the investigation. Reuenthal is accused of harboring a woman of the exiled Lichtenlade family. Oberstein is suspicious of Lang’s intentions. It is revealed that the woman is pregnant with Reuenthal’s child. Reuenthal is granted a hearing from Reinhard that very afternoon. Reinhard and Reuenthal reminisce on the past. The Imperial officers direct their hatred toward Oberstein.